I first learned about the child life profession when one of my child development professors my junior year of college very briefly mentioned it during one of his lectures. I jotted down “child life specialist” on the corner of my notebook and googled it when I got home. As soon as I looked it up, I knew this was it! I read every single word written on the entire child life council website but I still wanted more! I wanted to know what a typical day looked like for a CLS, I wanted to see pictures of their workspace, I wanted as much information as I could get to feel confident in my decision to pursue this career. 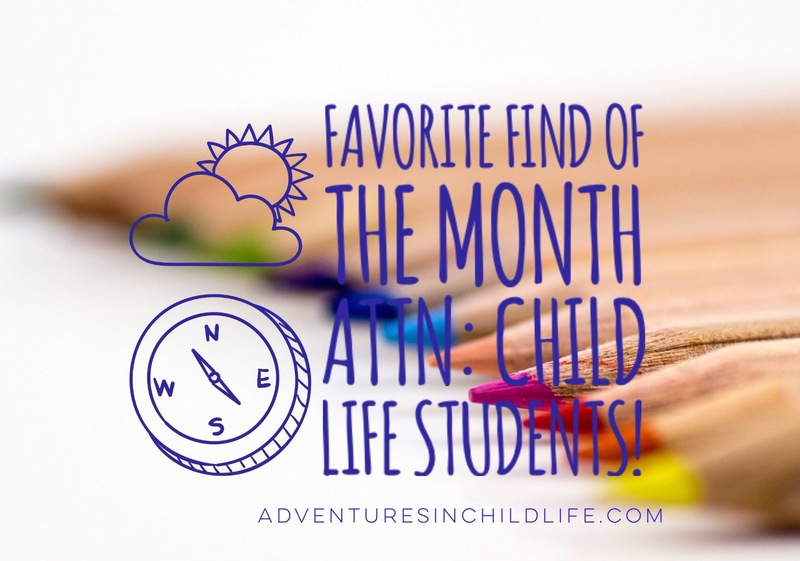 I didn’t find what I was looking for that day so I started adventures in child life in hopes of providing others with what I was looking for at the start of my adventure. John Hopkins All Children’s Hospital in St. Petersburg, Florida will be hosting a seminar for those interested in learning more about the child life profession. This seminar will include a panel discussion with child life staff, information about education options & certification requirements, a hospital tour, and exposure to therapeutic activities. There are two seminars left this year – one will take place on July 27th and the other on November 16th. Space is limited to 25 participants per seminar so make sure and register online ASAP! This is great! Other hospitals do this as well! I know for a fact that there are some in the Dallas area, and I myself attended one at the OU Children’s Hospital in Oklahoma City almost a year ago. I found it when I was looking for more information about child life. I loved it, and attending the workshop was what verified for myself that I for sure wanted to one day be a CCLS!